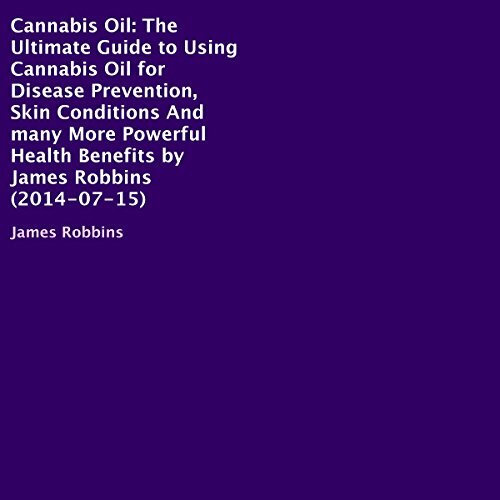 This audiobook contains proven steps and strategies on how you'll be able to properly use the medicinal benefits that cannabis oil can provide you with. Here, you'll be provided not just with up-to-date facts about the latest findings but you'll also learn how to make the oil yourself. After all, some people prefer doing things by themselves to ensure purity and the safety of the product itself when it comes to using it. Here's an inescapable fact: Despite its bad rep as a recreational drug, certain varieties of the cannabis plant as well as its byproducts can actually significantly improve our health. From helping us with common ailments such as headaches and muscle pain to treating more serious diseases such as cancers and cardiovascular issues, cannabis oil certainly has countless uses and benefits that you can harness with the right guide and information. When it comes to treating our different illnesses, whether it is something that requires a one-time treatment or a continuous one, there are always two options. You can go for something provided over the counter which works well for quite a lot of people. However, there are side effects associated with it that you may not want for yourself. In cases such as those, the other option is to go natural - something that's gentler on our bodies and possesses very little to no side effects at all.